Atlantic-Pratt Oil Company, formerly Atlantic Ice & Coal Company, began in 1921 in Quincy, MA. Hermogenes (Harry) Nogueira founded the home heating oil company. A customer in Quincy recently recalled seeing Harry lumping sacks of ice down the streets of Squantum! In the 1940s we began selling fuel oil, and in 1951 Harry’s son, Donald Wright Nogueira (“Bud”), took over the company. In 1971 after graduating from Tufts University, Bud’s son Don Nogueira, Jr. joined his brother Paul in the family business. 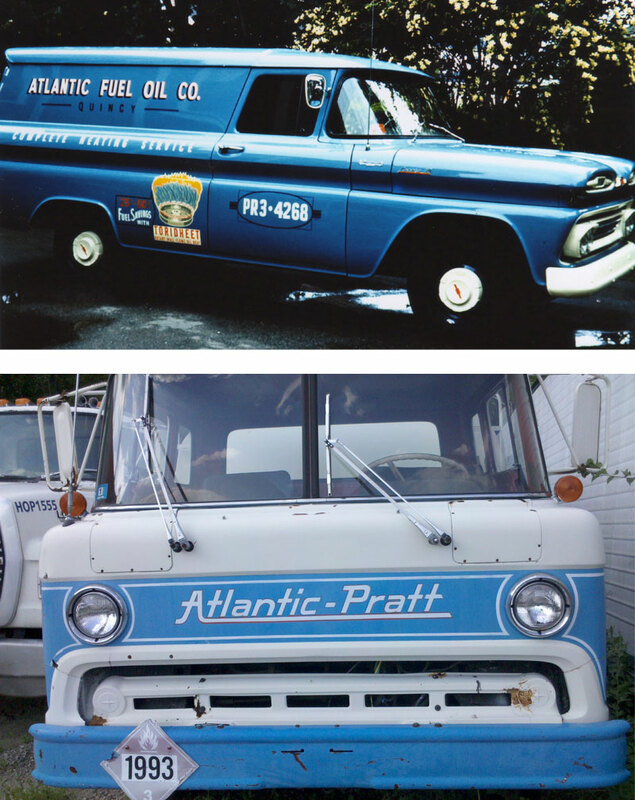 They acquired Pratt Oil Company from Ed Pratt and changed the name to Atlantic-Pratt Oil Company. Don’s son Jake Nogueira, representing the fourth generation, has decided to join the company and intends to keep it in the family. Jake graduated from Tufts in 1999 and had an exciting ten year career as a marine biologist studying the scallop and bluefin tuna fisheries. He enjoys working in the home heating oil company today and responding to the challenges of heating and cooling homes in today’s modern world. He is excited for the future of the heating and cooling business and enjoys working in the field and exploring new technologies. As a family owned and managed company for almost a century, four generations have shared the same ideals and work ethic and have been committed to the company mission: to provide reliable product delivery and exceptional service and installations at an honest, competitive price.